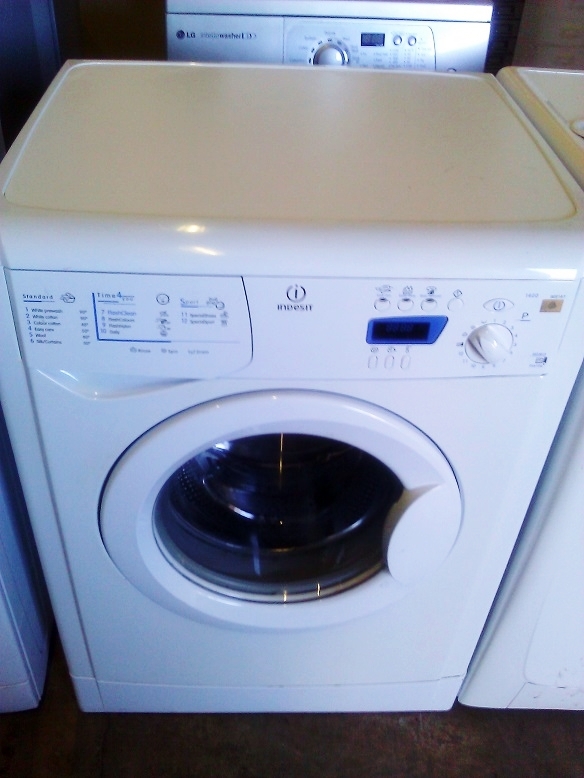 AREAS OF INTEREST: 'Washing machine' Syndrome; Adding value or extraneous functionality? 'Washing machine' Syndrome; Adding value or extraneous functionality? As newer concepts and innovatory practices continue to stem outwards from the design labs and onto the marketplace, why is it that there are still a plethora of devices, both hard and soft, that are filled to the brim with multi-functionality? Are these extra options and functions useable and valuable? Or is it all 'gizmo-ing'? I had to buy a new washing machine this year, to replace the sturdy workhorse that had finally given up the ghost after a decade of usage, and two repair visits, one of which was under warranty. I ended up buying the same brand, not out of ludditism, but more because I knew from prior experience that it appeased to my sense of delivering high quality functionality over form, for what is essentially a "white good" in our lives. But what is this 'syndrome' I´m referring to? In effect, I´ve noticed on hundreds of occasions in the past, that when you look at a washing machine front panel, there are a swathe of buttons and combinations/permutations of wash, rinse and dry cycles for you to choose from. In actual use, however, I´m confident I´m not alone in perhaps using less than a fifth (if that), over the course of owning the machine. So why are all the extra options still there? All washing machines are festooned with a myriad of wash, spin and dry cycles..how many do YOU use? It´s a relatively straightforward question but consider this: would you feel happier or more satisfied with owning the same machine if they wern't there? And it´s this level of rationale, which can explain why so much extra ‘gizmo-ing’, as I like to call it, is built into so many products on both a macro and micro level. In effect, it´s all about adding value to the main concept or design remit that the item purports to fulfil. A classic example is the functionality on even the cheapest mp3 players. Nearly all of them have some sort of random/ shuffle option (some with sub-options), playlist features, and some kind of sound enhancement processing. However, as you go into the mid range in terms of pricing, you´ll find that some are now heading into the realms of becoming PDA´s (personal digital assistant type devices), with document reading/creation et al, all built into the same device. And to think, most people would buy the said device for mainly one purpose only, for which the marketing/ advertising budget has most likely been allocated. My theory here, can apply to anything; from steam irons to even electrical rechargeable razors. Next time you´re at an electrical retailer or even browsing an online e-tailer, have a look at the product range for your particular interest, and notice the increase in features designed into the product, as you go further up the price range. Up to a point, this theory, as already mentioned, certainly applies. However, I have noticed that in certain specialist markets, such as top end audio/ hi-fi, the feature set starts to go the other way, as you pay more. It can be argued that in such instances, you´re paying for the privilege of potentially premium product quality and service delivery, and hence all the other gizmo-ing and dressage becomes surplus to requirements. In essence, it could be argued that this applies to a number of premium price/ quality products in general. There is an absolute exponential concept that comes into effect, with regards to features vs. price for that category of customer, because quality is very rarely, (if indeed ever) sacrificed to bring the item to the marketplace at that price point. The idea being that these types of products do one thing far better than anyone else, so there isn´t a real need to add and even remove "extra" functionality at later dates, in the life cycle of the product. 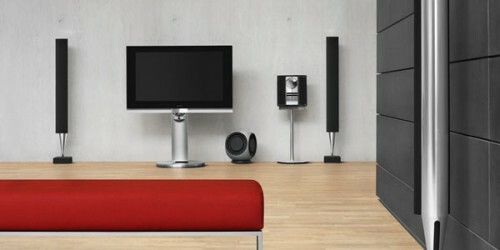 An aesthetically simple, yet bold and beautiful top end A/V entertainment system, any day of the year. So it could be argued that apart from adding value, the need to add far more bells and whistles than is necessary to a product, may potentially be disguising what may have been left out in the concept for budgetary reasons. This isn´t as farfetched as it sounds, when you consider that some devices are great all-rounders, rather than the pinnacle of design and engineering. The aforementioned theory about top-end hi-fi, is a great illustrator of how less truly can be more. Or maybe it´s just to give the product some extra USP´s (unique selling points), when trying to position themselves as ‘the best game in town’? It´s more likely a combination of both of these, together with manufacturers and designers appealing to our sense of looking for ‘marginal utility’, which is the economic concept of having extra of something and gauging the satisfaction derived as a result. In effect, if you feel you´re getting a lot for your money, then you´ll feel much more eager to hand over the cash and buy the product. This was best exemplified in the 1980´s when many home entertainment audio systems, also known as "tower" systems, would fulfil all remits you´d need in such a concept (record player, tape, amplifier, radio, speakers and the stand with a glass panelled door ALL BUILT-IN), and they shifted in huge volumes as a result. In our current economic times, price has become the key factor for most people when making a purchase decision and the washing machine syndrome may not be as important as it used to be, en masse. Users and potential buyers are far more informed than before, due to the power and obvious ease of information dissemination via the internet. It´s very noticeable that even audio and media devices on the marketplace, have a cleaner and slicker appearance, with most functionality tucked away in the operating system, only to be revealed on power on or "boot up" of the device. Of course, this serves another important purpose. It aids the prevention or stalling of reverse engineering, if a competitor is trying to grab your share of the market with a rival product. Inarguably, as long as the consumer wants more value for their money, then designers and manufacturers will continue to look for new and innovative ways to add extra functionality to all gadgets, from white goods to leisure goods. The key word here, is balance. Providing generous delivery of concept functionality at a high quality level, can be enough to negate the other need to add extra ‘gizmo-ing’, which was done to potentially pull in another newer sector of the customer base, who may not have previously considered that product or the brand. Getting it right once, can be like the gift that keeps on giving in that respect ,as people trust the brand and will be more willing to buy other products and services from them. I´m very satisfied with my washing machine. Not only does it do what it says it should do and with a level of excellence, it also doesn´t try to make my toast for me, or offer me a cup of tea. At least not yet.